With so many things to see and do on the Gold Coast, you are perfectly located when you stay at Quality Hotel Mermaid Waters. Our centralised location and close proximity to Surfers Paradise makes for easy access to local events. Why not check out the range of sporting events such as the Gold Coast Marathon, the Armour All 600 or catch the Gold Coast Suns live at Metricon Stadium? If you're a fan of the NRL, make sure you head to Cbus Staduim and cheer on the Gold Coast Titans! The area also hosts cultural and events such the Surfers Paradise Festival and Beachfront markets. Also fairly close is Broadbeach, less then 10 minutes away, and Currumbin, less then 20 minutes away. Below you will find more information on the many annual events the Gold Coast has to offer. Each Wednesday, Friday and Sunday night, treasure hunters, bargain spotters and after-dinner walkers make their way to the Surfers Paradise Beachfront Markets, to wander along the coastal stretch of more than 120 market stalls, while live entertainers set a casual mood in their performance. The Jeep Magic Millions Raceday features the richest race in Queensland, the $2 million Magic Millions 2YO Classic. The Magic Millions Sales and Raceday has established its reputation on the international racing scene, and has fast become a "must be there" event worldwide for buyers, punters and fashionistas. Join swimmers from all over Australia for the Gold Coast’s premier ocean swim. The Cooly Classic offers competitors a rare opportunity to conquer three of Australia’s most revered surf breaks – Snapper Rocks, Coolangatta and Kirra. Whether you’re an elite swimmer looking for the ultimate surf challenge, or a newcomer to ocean swimming, the Cooly Classic has an option for you. 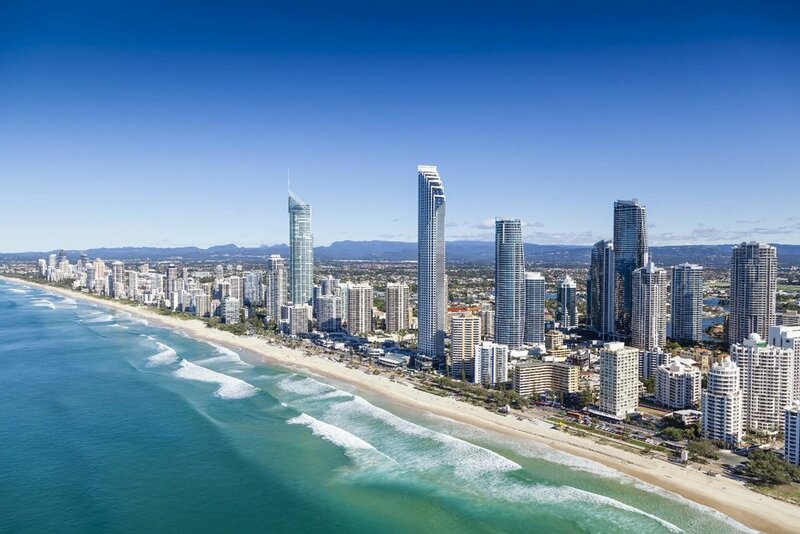 The GCFF celebrates and promotes all aspects of film and filmmaking from one of Australia’s pre-eminent filmmaking locations and holiday destinations – The Gold Coast. From internationally acclaimed dramas, comedies and genre films, incredible Japanese anime, locally made indie gems and family features, the GCFF offers a culturally diverse, interactive and engaging program of film, events and special guests. Live the dream at the Gold Coast Renaissance Faire! Return to the Golden Age of Shakespeare, romance and adventure! In a beautiful park setting, join costumed performers as they continually entertain and delight you with theatre, dance and music all day long. Transcending the barriers of age, gender and culture Blues on Broadbeach is one of Australia’s most iconic Blues festivals. The Blues on Broadbeach Music Festival is held in May and is the largest FREE music festival in Australia. With national and international artists performing over four huge days and nights on outdoor stages and in venues throughout Broadbeach on the Gold Coast. The Gold Coast Airport Marathon takes place annually in July. Competitors have the option of running a full marathon, half Marathon, a 10km Run, community walk or junior dash. The marathon has been running for over 30 years and attracts runners and walkers of all ages from over the world to experience the magnificent running conditions. Broadbeach Jazz Festival features a number of outdoor stages, and artists performing in venues throughout Broadbeach. With no ticket required to attend this completely free festival featuring a vast array of Australia’s finest jazz artists. Twenty eight of motorsport's biggest internation names have joined forces with our V8 racing stars for this one off appearance on the streets of Surfers Paradise. The Schick Hydro Coolangatta Gold 2013 is the ultimate Festival of Surf, Sand and Sweat. Held in November at Coolangatta beach with an extended program of events including the Great Gold Coast Swim, a 5km Beach Fun Run, a Family Fun Day in addition to the Endurance Race; there's something everyone. The Pan Pacific Masters Games has grown to become Queensland's largest multi-sport event and aims to attract over 11,000 masters competitors from around the world. The event showcases world-class sporting venues and facilities across the Gold Coast from Coomera Regatta Waters in the north, to Tallebudgera in the south, a total of 42 venues will play host to 39 different sports. Australia's oldest professional golf tournament will again be played on the Gold Coast when the Australian PGA Championship returns to RACV Royal Pines Resort in December.